The above quote is an apt prelude to the events, speculations and the result that surrounded the Indian Premier League’s (IPL) media rights auction that concluded on September 4, 2017. Star secured the deal for India’s (TV and digital) as well as overseas broadcast rights for IPL for a whopping Rs. 16347.5 crores. This article analyses the frenzy around the pre-bid controversies and the results of the most talked about media rights bid in the Indian Sports scenario. The Indian Premier League, has lived up to its reputation of being a cash cow in more than one way. Ranked the sixth most valued sports league in the world, it is no surprise that all other media stakeholders plan their activities according to the IPL calendar. Business houses releasing their products during IPL to increase brand recollection, filmmakers postponing their releases to prevent decreased ticket sales are a few examples. As per reported figures, 85% of the entire revenue from sports broadcasting in India comes from cricket. This upsurge has been significantly contributed by the popularity of IPL. The revenues from IPL’s title sponsorship and the advertisement and sponsorship deals haves all continued to soar. September 4, 2017 brought an end to one of the most speculated media rights deal for Indian Sports. In 2007, World Sports Group (WSG) bagged the media rights deal followed by a 9 year agreement MSM (Multi Screen Media) for $1.63 billion was a leap into untested waters. A decade later the league has ensconced itself comfortably in India’s emerging sports culture. Recently the Supreme Court has ruled out the possibility of mini-IPL or any competition that would devalue the commercial value of IPL. As we brace ourselves to immerse in the IPL frenzy in April 2018, with our beloved Chennai Super Kings and Rajasthan Royals back in the pack, all eyes were set on September 4, 2017, that would decide the broadcaster who would clinch the deal to bring our dose of daily summer entertainment for the next 5 years. The auction on September 4, 2017 was well past its due date. The slated date of August 24, 2017 was deferred continuously because of BCCI’s non-compliance with Lodha Recommendations followed by the fortuitous filing of a PIL by Subramnium Swamy to direct the BCCI to conduct e-auctions for the grant of media rights. The delays increased our speculation about who will hold the media mantle for the next 5 years. The spotlight this time was also on the contenders of the digital media rights. This was because digital rights are going to be a game changing platform in the coming years. Although the TV rights are a bigger deal in India, the move towards pay-per view globally and the recent success of Hotstar and digitisation is paving the way for a changing scenario. Therefore the business strategies and models will also gradually change. The Over the- top- content platform (OTT) Hotstar (by Star) crossed the 100 million mark in the number of people who used the platform to watch the IPL in 2017. Watching sports is a laid back consumption method and the flexibility and ease of smartphones has aided it tremendously. Realising the importance of this new upsurge even Sony has come up with its own OTT platform SonyLiv. There were many debated suppositions regarding the auction such as, “Would it be a derby between Star and Sony? Or would it see the emergence of new conglomerates having the last laugh? With Star reigning over the sporting market in India with its win, our conjectures have come to an end. Let us delve a little deeper into the intricacies of the issues that surrounded this bid process. The idea of e-auction was pitched in the form of a PIL filed by Subramnaium Swamy. The huge stakes and the enormous amount of money involved coupled with BCCI’s tainted image in administration made this proposal seem like a mandate. The Supreme Court also did not want to let the BCCI go easy and directed Vinod Rai ( Head of the Apex Court appointed Committee of Administrators) to submit an affidavit on the e-auction proposal. The two problems highlighted by Vinod Rai in the e-auction process included 1) high possibility of low bids and 2) lack of price discovery. As explained by the BCCI CEO Rahul Johri, in an e-auction, after the base price is set and the bidders log in separately from their accounts, their bids will be in accordance with their competitor’s immediate amount. This process of relative overpowering will impact the price discovery mechanism that is the prime feature of competitive bids. For example in the bid for the title sponsorship of IPL sometime back, Vivo won it for a massive 2199 crore. The second highest bid by Oppo was way behind at 1430 crores. If this were an e-auction process BCCI would not have earned the extra 700 crores. As per experts, BCCI could go for auction when there are a large no of players as the increased competition would ensure that the optimum value bids are received. The race for the clinching the IPL media rights saw many participants and some new entrants such as Amazon, Facebook, Discovery showing interest as per the media release after the ITT ( Invitation to tender )was received). Before the auction there was a list of 24 contenders of which 11 participants, including big names such as Amazon, ESPN Digital Media, Twitter and Discovery did now show- up on the D –Day. The media rights for IPL were divided into three categories, India broadcast (Television platform), India digital and rest of the world (which was further divided into 6 categories). As per the clarification to the ITT (Invitation to tender) floated by BCCI, the bid could be consolidated or separate for each category. The broadcaster could submit a consolidated bid without providing a category specific break up. This meant that an individual bid could win only if it was greater than the sum of consolidated bids. This always has the possibility of sub-optimal value for the bids and reduced competition. This is because an individual category bidder rarely has the chance of clinching a deal in this scenario. These speculations turned true as Sony’s bid was only for India broadcast (television platform) while Star had submitted a consolidated as well individual bid. In the category of Indian Broadcast, Sony bid for Rs. 11,050 crores, while Star bid only for Rs 6196.94 crores. But it had an unmatched consolidated bid of Rs 15,819.54 crore. Thus Sony had to bite the bullet and pass over its mantle of IPL broadcast rights to Star. Facebook also had to eat humble pie as its highest individual bid in the digital category was 3900 crores was overpowered by Star’s consolidated bid. The results of this IPL bid might stir up a hornet’s nest in the future. As pointed out by Dish TV, winning of auction rights by Star could lead to serious anti-competitive practices. There are certain basic principles which form the ground work of any competition legislation including The Competition Act 2002 (Competition Act). These include that grant of exclusive rights should never lead to anti-competitive consequences such as (i) creation of barriers for new entrants, (ii) driving out existing competitors, and (iii) foreclosure of competition by hindering entry into the market. The grant of exclusive rights for long terms is certainly a foreclosure on competition. The initial period of 10 years stated by BCCI for grant of media rights would definitely have been violative of the Competition Act. The question is, Whether 5 years is long enough to create a barrier for entry in the market considering Star is literally the holder of entire cricketing broadcast rights in the country? Also generally in Europe three years is considered to be a norm for exclusive rights. Has the time come to import such norms in India considering the success and popularity of IPL? Is it time that considering the issues of specificity of sport, we need a better analysis to promote better competition in the sports broadcast? There are some factors which are unique to sports as it is an ephemeral product. Thus time value of sports is akin to news. Additionally there is no substitute for sports competitions. Thus any factor which reduces or eliminates competition can be detrimental and violative of the objective of the Competition Act. Would it be a better option for BCCI to unbundle rights and evaluate only separate bids and not consolidated bid considering that not all participants can contest in all categories or give an individual bid trumping the consolidated bid? All these questions would certainly need a serious consideration by the authorities. There are various diverse factors that the broadcasters had to take into consideration while bidding for IPL media rights. The increasing internet viewership and the decreasing TRP’s on TV are some of them. The fact that Star owns the rights for broadcast of Indian team’s cricket matches for the period between 2018- 2022, has its own leagues such as Pro- Kabaddi League Hockey India League, Indian Super League and Premier Badminton league goes on to show its outreach to India’s audiences. At the same time even after Sony’s recent tie-up with ESPN, IPL was still its most valued property. A loss of the media rights deal can been hugely detrimental to its broadcasting revenue. This would be because it would lose it presence completely in the cricketing arena until 2022. There were reports about Star’s CEO James Anderson stating that they were not planning to bid aggressively for the IPL rights. But this would have been too risky a stance to take. This is because the IPL media rights deal was reduced from ten to five years. This five year tenure will end in 2022, a year before the ICC media rights are again up for grabs (Star presently hold media rights of ICC till 2023) . In addition Star’s deal with BCCI’s media rights will also end in March 2018. Thus Star could not risk, completely missing out on the IPL rights. Interestingly, Star did consider these factors as it submitted a whopping consolidated bid of a whopping 1637.45 crores, to trump all the other competitors. Sony’s lack of foresight in not submitting a consolidated bid or coming with a massive showdown figure for the Indian broadcast rights might be a troublesome factor. 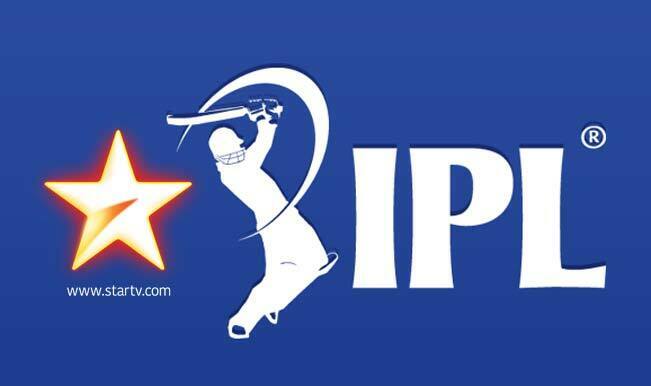 IPL rights could not only have increased subscription revenue but also aided its diminishing entertainment business. Additionally it would have profited its OTP platform SonyLiv. Losing this would greatly diminish Sony’s sporting presence in the Indian Market. The only hope of revival for Sony to enter the cricket arena would be to a carve a small niche again by bagging BCCI’s media rights that will up for grabs in some months. Another silver lining might be the upcoming Under -17 Fifa World Cup. It’s success might change the pattern of football viewership in India and increase Sony’s outreach to Indian audiences as it holds the football rights in partnership with ESPN. Till then let us enjoy being STAR-STRUCK for the next 5 years.